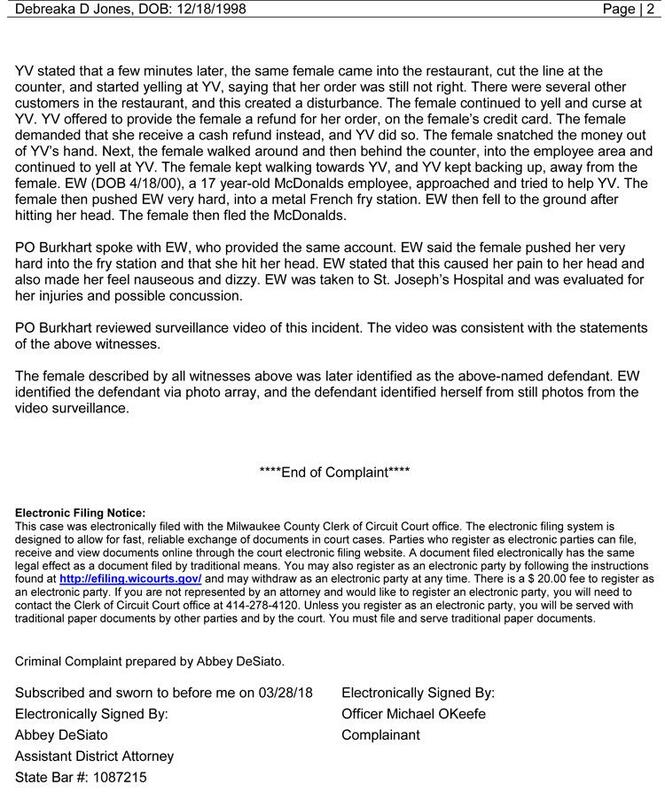 Those words were allegedly spoken by a Wisconsin woman who was so furious that her McDonald’s drive-thru order was botched that she struck a worker with a bag of food and then entered the restaurant and shoved a teenage employee to the ground. 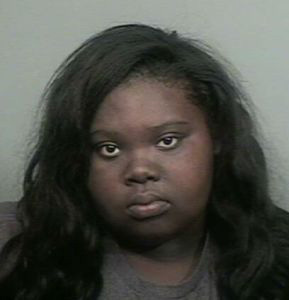 Debreaka Dashay Jones, 19, was just named in a criminal complaint charging her with disorderly conduct and felony child abuse in connection with a recent incident at a McDonald’s in Glendale, a Milwaukee suburb. According to the complaint, Jones, a Sheboygan resident, pulled up to the drive-thru window around 10 AM on Sunday, March 18. 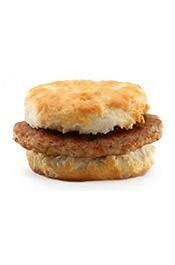 Upon receiving her food, Jones became upset that the order was incorrect (and included the offending sausage biscuit). Jones, seen above, then threw the bag of food at the 15-year-old drive-thru clerk, who was struck in the back by the airborne grub. A McDonald’s manager then provided Jones with the food she ordered. Jones, however, was not done registering her displeasure with the eatery’s service. She entered the McDonald’s and began yelling at an employee that her order was still not correct. The manager again interceded and offered Jones a refund. After getting her money back, Jones went behind the counter to continue berating the staff. When a 17-year-old worker sought to intervene, Jones shoved the girl into the "metal fry station." 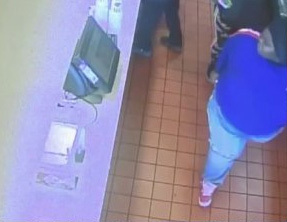 The attack was recorded by McDonald's security cameras. The teenage victim, who hit her head on the equipment and fell to the floor, was transported to a hospital after she reported feeling nauseous and dizzy as a result of her head striking the machinery.